Preheat oven to 350°F /180°C. Lightly grease an 8x8 inch (20x20cm) square pan and line with non-stick baking paper, with 2 edges longer to lift it up the crumble. In a bowl, combine flour, oats, brown sugar, baking powder and salt. Add butter and stir until combined and crumbly. Set aside about 1 cup. Press remaining crumb mixture into the bottom of the pan. In a bowl, add in raspberry, sugar, cornstarch, vanilla extract and lemon zest. Mix well. 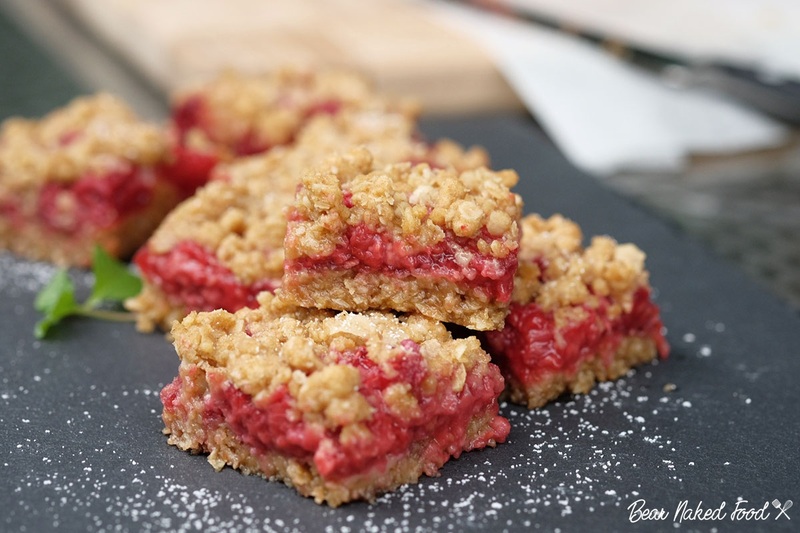 Spread the raspberries over the crumble. Sprinkle the reserved cup of crumb mixture over the raspberries. Bake for 30- 40 minutes or until lightly browned. Cool completely before removing from the tray. Cut into desired squares and serve at room temperature or chilled.